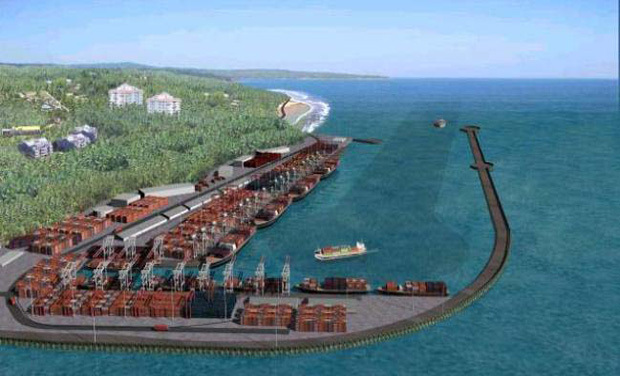 Vizhinjam international port is the first port project in the country to get a Rs 800 crore approval for viability gap funding. Kochi: The Communist Party of India (Marxist) has demanded that the state government must make public the terms and conditions put forward by Adani Ports, the sole bidder for the Vizhinjam container port project. In a Facebook post on Monday, party politburo member M A Baby said that reports on the project suggested that the state government would have to make an investment of Rs 4,253.2 crore which included Rs 817.2 crore grant to the bidder. The Centre would provide Rs 817 crore as viability gap funding (VGP), while the bidder would make an investment of Rs 2,454 crore in the first phase of the project. “This means the company which invests only 32.6 per cent of the total required investment will get to run the port for 40 years before handing it over to the state government,” Mr Baby said. “This is shocking. The government should either form a company modeled on CIAL and take over the project or go in for re-tendering,” he said. Mr Baby said the project was being used as a ruse to make investments in real estate and reap huge profits later. “Minutes related to the VGP show that the companies have demanded acquisition of land for purposes other than those related to the port,” he said. “This shows that the companies have an eye on the potential of real estate development.” The CPM leader said the Adani group had made tremendous but controversy-ridden growth in the recent past, especially after Mr Narendra Modi became the prime minister. The public had little knowledge on the bidding process and hence the state government must take immediate steps to make the process transparent, he said.